· Discover how to design and pick individual pricing for stamps. On the first concern, you can actually turn to the internet and offer the collection online. There are different websites that can help you sell items, stamps included. For example, websites like eBay can facilitate stamp exchange and sales-based transactions, and there are forums and blogs too that can provide stamp-related services. On the second count, you’ll require a bit of work and creative spins. If you show it to recognized stamp dealer, he’ll likely accept a valuation that’s near the catalog value. And sometimes, stamp dealers will want to offer less since they will also want to make a profit by putting the stamps on the re-sale block and hope to earn too. A sure-fire way of dealing with stamps for sale is to coordinate with stamp collector or direct stamp buyer. There are certain guidelines that you should remember when offering stamps for sale. For example, certain traditional buyers will want to shop for stamps by weighing these first. When referring to the catalog stamp valuation, most items will be accepted for roughly 20 percent of its actual valuation, and the rarest can command more than double its catalog valuation. Also, consider the physical condition of the item in question since damages and tear can render the stamps almost useless. To be educated on the procedures that come with stamp valuation, consider checking the pages of the leading catalog. But be careful to work hard when it comes to understanding valuation since you really need to read dozens of pages just to get information on particular stamp. Don’t forget about the idea of forgery, making stamp education a long process for a new or beginning enthusiast. There are also stamp sites and resources available online that can help a first-time collector. 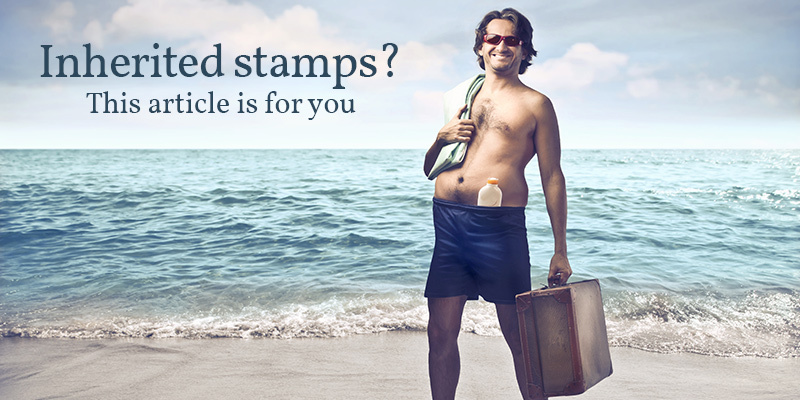 Of course there’s an easy way to market stamps. A convenient and creative way is by posting stamp images, and let buyers and experts comment on authenticity online. Also, it is not recommended to very bold when it comes to pricing stamps for sale. A great strategy is to price the stamp at around $10, and make the economic movements work out the pricing. If you want to take calculated steps when selling and showing off stamps, then pay close attention to reliable appraisal system for classic stamps. Consider this as a professional stamp service so you’ll have a better look at stamp real or accepted valuation. You’ll have to pay something extra for this reliable add-on service, but can work for your end if you are serious in boosting your stamp business. This is a worthy cause and hobby for you to consider but remember a few more collecting points from stamp experts. Care should be exercised when touching or storing stamps, the same maintenance tricks shown for museum regulars. Also, try to learn more about this rare (and educational) hobby, the market in stamp album collection and even individual stamps shown on your inherited album. Also, there’s still a slight chance that the inherited stamp items can be pricey in the market, so know and peruse the items included in inherited album. Some stamp owners, followers or enthusiasts will find a singular niche where they can concentrate, and you can also follow their steps. Different niches are available for stamp collection, and you can choose the stamp niche that can work for your needs and stamp album likes and requirements. Whatever the subject or thematic directions, you’re on the right hobby, so put education and stamp awareness on top of your to-do list.